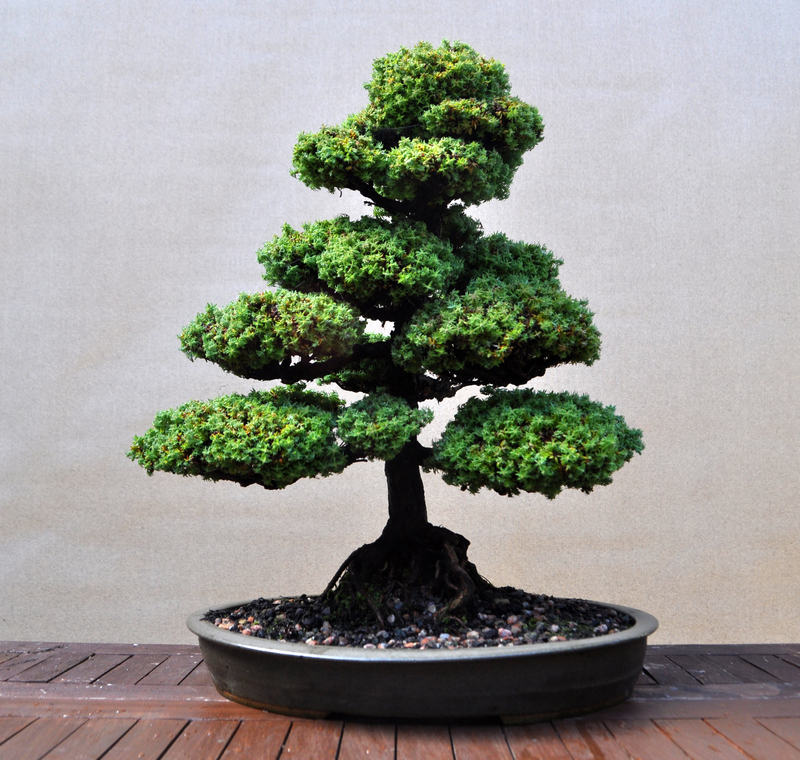 History: Paul’s own words, “While visiting a nursery 20 years ago I spotted this tight foliage plant and thought it might make interesting Bonsai material. I trained the plant and indeed it proved to be a fitting subject. About 12 years ago I used a hard wood cutting to produce this particular tree and have cut the parent tree successfully a number of times since then. 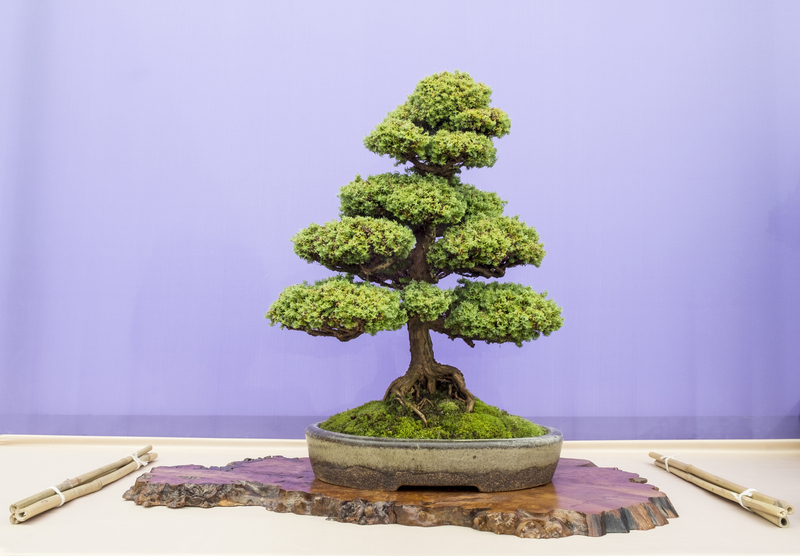 I will continue to develop the tree however I will not let it grow very much taller as it currently presents a pleasing bonsai image. 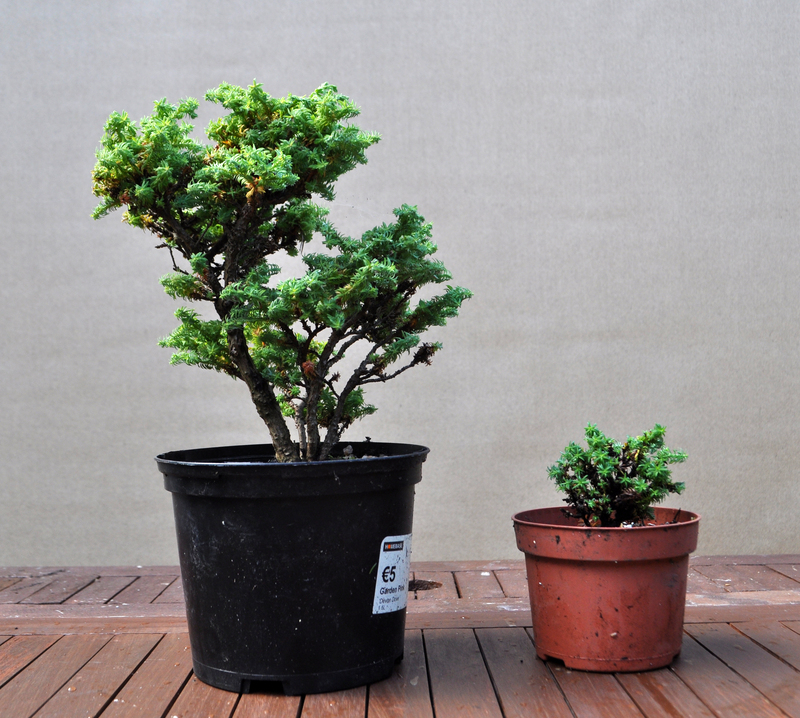 The tree is hardy and survives the Dublin winters without any problems. 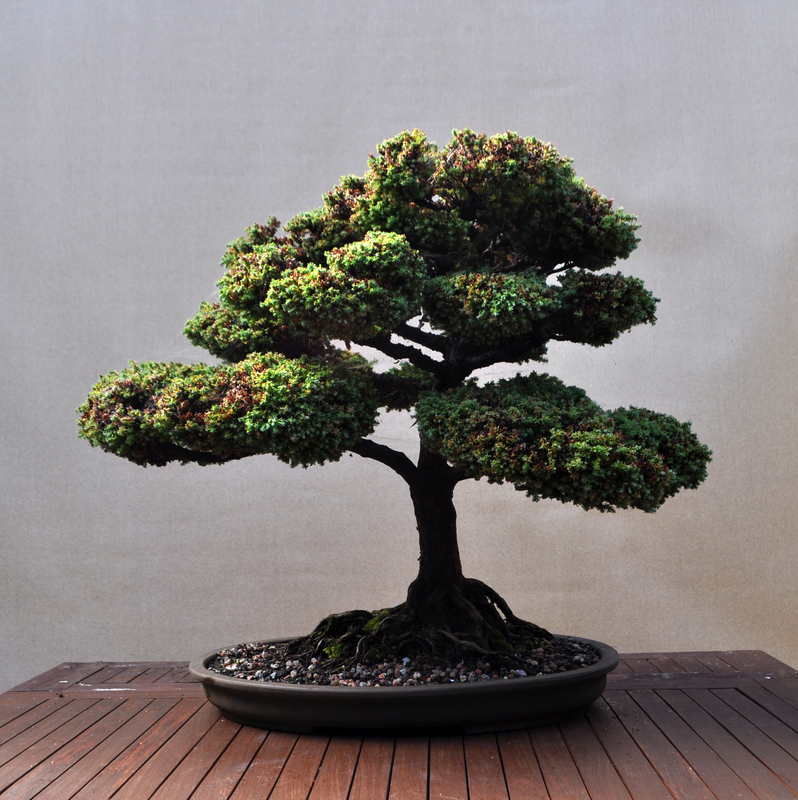 The tree was selected for Bonsai30 as it is a beautiful bonsai using an unusual species. 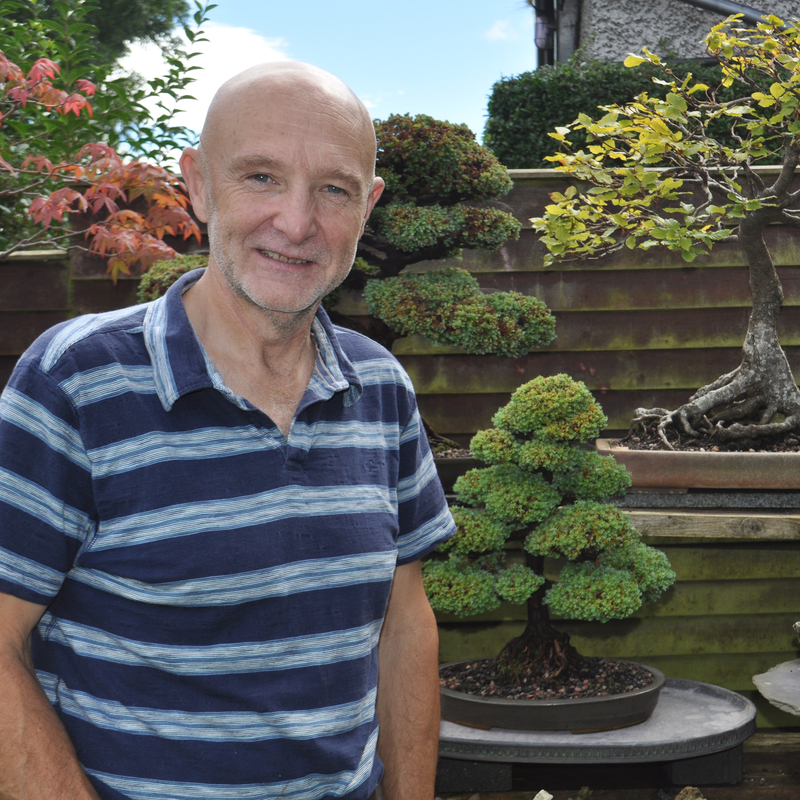 It also shows some of the history of bonsai in Ireland with Paul being a stalwart of bonsai in Dublin starting bonsai in 1983 and now a regular at the newly formed Leinster Bonsai Club founded in 2014 in partnership with NIBS.